High Seas Pirate Captain Swords are 32 inches in all and weigh 3 pounds. 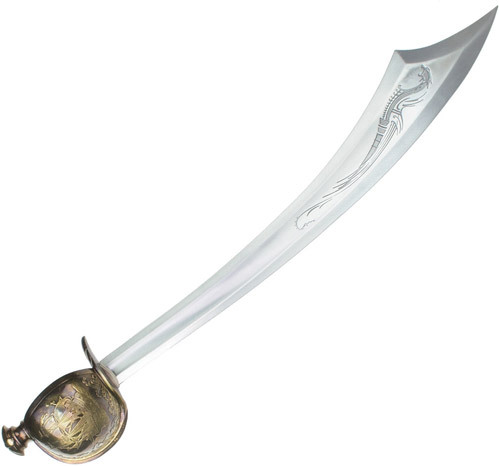 These pirate swords feature a scimitar blade and a cup guard. The antique brass cup style guard features an ornately detailed depiction of a pirate ship sailing the high seas. The 26 inch, unsharpened blade is engraved with a medieval design. These sabers do not include a scabbard. Buy the High Seas Pirate Captain Swords for only $89.99.